Always bold changing the communication and business arena in Kenya through voice, data, financial services and enterprise solutions for a range of subscribers, small businesses and government, using a variety of platforms. The world is full of ideas the ability to be bold and break the rules set in old age business principles has put Safaricom, founded in 2000, on top of the threshold of communication in Kenya. The company has a subscriber base of 28.12 million customers with 130,000+ M-Pesa agents, 400 dealers and 1,200 business partners. 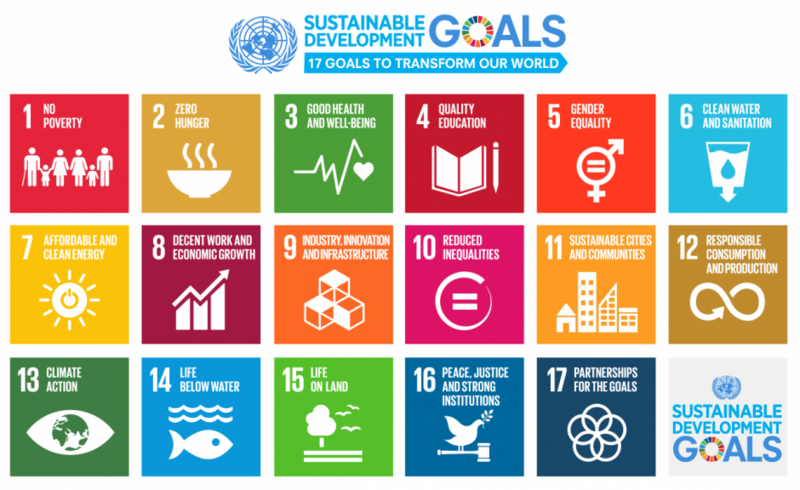 In an effort to end poverty, protect the planet and ensure that all people enjoy peace and prosperity, Safaricom completed their first phase of integrating the UN Sustainable Development Goals (SDGs) into their business and corporate strategy. They recently released their 6th Sustainability report and you can read the full report here where you can get a full scope of the SDGs they are investing in. The entire world is seeking ways to sustainably develop in all their areas as the human population is increasingly growing. The SDGs is an idea whose time has come and has quickly gained ground globally. World’s societies acknowledge that they aim for a combination of economic development, environmental sustain ability, and social inclusion. Therefore, Safaricom is on the right move in achieving the sustainability goals. A report done by an independent survey to know whether the employees understand the concept of Sustainable Development Goals found out that 83% of staff members understood its relevance in the day to day business setting. With a majority of staff having knowledge on the SDGs, Goal number 12 will be achieved which ensures sustainable business practices and consumer behavior, together with adherence to international norms on the management of hazardous chemicals and wastes. This can be attributed in the company where 632 tonnes of e-waste has been collected by the company since 2013. Unemployment in developing countries is the biggest challenge to the economy where universities channel graduates every year but few are absorbed in the job market. However, Safaricom is continuously increasing labor productivity as they seek to reduce the unemployment rate, especially for young people with over 5085 current employees. They also seek to improve access to financial services such as the well known platform M-Pesa and their Safaricom Business department all to to benefit the customer which aids in overall economic growth. This is inline with SDG goal number 8. As the world seeks to eliminate extreme poverty, the main strategy is expanding the reach of crucial technology such as medicine, internet and electrification from high-income economies to low-income economies. Through mobile cellular services, Safaricom aims at providing universal access to high quality information and communications technology through their network. SDG goal number 9 has seen mobile-cellular services spread rapidly and have allowed people living in previously unconnected areas to join the global information society. The company has also incorporated fibre technology to ensure a large access to affordable internet access with 4700km of fibre optic already laid out. Safaricom fibre connects connects 54 towns in 46 counties. Social Media and informational technology have enabled more opportunities to grow and the ability to solve global-scale problems around sustainability development challenges. Many people are now increasingly turning to online networks for collaboration, group solving problems, and open-source solutions such as software and applications. Safaricom, through mobile applications such as My Safaricom App , Little cab, M-Tiba, Digifarm and Connected farmer, have made it easier for customers to access services easily. A good job is there for everyone, especially for those who are looking for it or need it the most. There is innovation and creativity that can be harnessed through the internet which Safaricom is on the way by achieving accessibility; 95% of Kenyans have access to 2G coverage while 85% have access to 3G coverage. This are great milestones for this Private Sector in the communications industry.